For more than a year now our seven year old daughter is saying that she wants to be a mechanical engineer, to invent things, and to run her own company. Both of us have engineering degrees and hoping secretly that it’s not just a fad that will disappear. Not surprisingly, we have a lot (too many!) building toys and games to encourage her interest in constructing things. We own all the things I recommend, and I intend to be honest in this review and to share what worked for us and what didn’t. 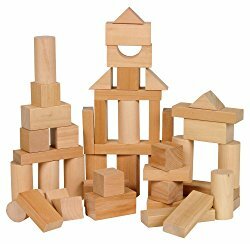 I firmly believe that the first building toy should be wooden blocks. They are extremely open-ended and have a long life both in durability and in play value. We were lucky to get our fancy set at the garage sale, but wish we had them when daughter was still in her toddling years. LEGO is another “must have” building system. 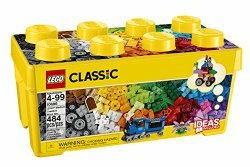 The trick is not to introduce them too early – our 7 year old still has problems pulling small LEGO bricks apart or snapping them fully together, and that frustrates her. Luckily, her Papa is usually available to help – he is an amazing LEGO builder, and he brought his childhood LEGO collection with him from Germany. I have one advice on LEGO – please don’t go wild on building kits, since they limit kids to perfect models designed by adults. We invested a lot in sets of building blocks, wheels, and doors/windows instead. DUPLO was also a good investment for us – our daughter spent many hours building with Duplo blocks when she was younger, and even now favors them over Lego blocks, because she has better control over them. I believe that Snap Circuits by Elenco are quickly becoming a “classic” toy for this generation. The idea is brilliant – young kids can build pretty complex things that actually work following well laid out instructions and using integrated circuit components. We received this simple set as a Christmas present when daughter was young 5, and she was able to use it right away with some supervision. She chose Snap Circuits Pro as a present from her German Opa for her seventh birthday and built several projects completely independently. When she is older, she will hopefully understand not only that things work, but also how they work. 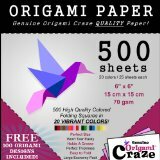 While we are talking about building tools, let’s not forget plain old paper or a fancy origami paper. It’s rather sad that many kids today can whip up things in Minecraft, but cannot fold a paper plane or a paper boat. My husband is not only a LEGO master builder, he also designs amazing things out of paper and our daughter is now experimenting with paper folds when she has time. Hopefully she inherits some of her father’s talents! We love quality, durability and design of German toys, and this Baufix starter set is a typical expensive German toy. It’s a good set, but we got it when daughter was 4, and it was very naïve as it requires pretty good fine motor skills, and instructions are not very intuitive. We plan to reintroduce it this summer, when daughter will be closer to 8 years old. We got Tinkertoy as a birthday present when daughter was 3. The box also says 3+. My daughter played with this set a lot, but the play that she played over and over again involved scattering smaller pieces all over the room and “fishing” for them with a couple of sticks connected together. So it gets an A+ for us for inspiring imaginative play, but I am yet to see anything built with this set in our house. 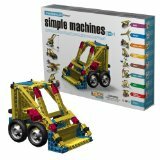 When Smarty starting talking about becoming a mechanical engineer, we thought that it would be great to get this Engino Simple Machines set by the same company that produces Snap Circuits set to introduce her to mechanical science. This set is a super set of several smaller Elenco sets, and is great, except that it’s truly designed for kids 8+. She can build with it, but some connections require more finger strength that she possesses, and the teaching booklet that comes with it asks for more investment in time from parents that we were prepared to give. So we put it away for a year and two and will get it out from our “toy library” when she is more ready for it. We got Wedgits when Smarty was 3, and she never stopped playing with them. In fact, she asked for Wedgits Expansion Set for her 7th birthday, so she could build more elaborate structures with them. The system is fairly open-ended, and the only warning I have is that smaller pieces can get lost easily unless you make sure to put this set away properly. Magna Tiles set is expensive, but definitely worth investing in, especially if you have more than one kid. It is visually pleasing and very open ended. Daughter spent many hours building towers, zoo pens and various shapes with it. It’s also great for exploring geometric concepts with older children. We have most of these toys and love them too...especially the Legos, Magnatiles, and Snapcircuits. They hold the kids' attention for the longest time and are played with almost daily. Another fun one is Gears! Gears! 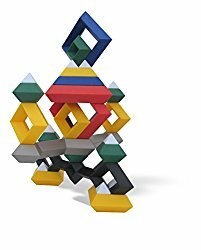 I am eyeing Tegu blocks as another expensive magnetic building block. 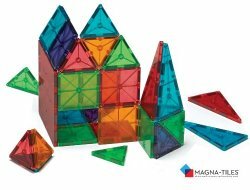 We have magnatiles and they are played with every day. What a great list! I'm keeping this post as a reference/resource. Magna Tiles is definitely worth the investment. It's still gets played with and we got our set when K was 2. I may post some of our favorites when time arises. Awesome list! We have a lot of these toys and love them! Oh, I would own all of these if I could! Emma is getting Wedgits for Christmas this year - I hope she likes them! We love Magnatiles, and Snap Circuits. My kids are all eyeing the Goldie Bloxs. My only problem with them is I find it somewhat limiting. 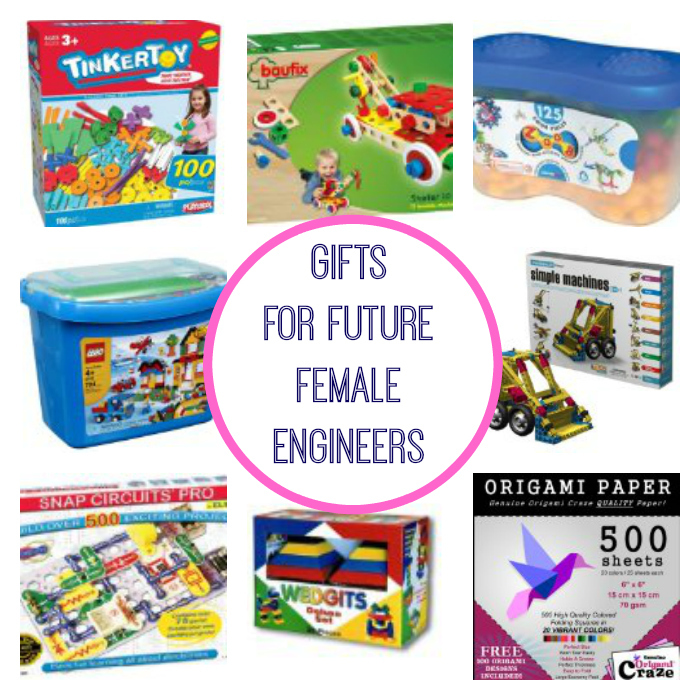 Most TRUE engineering toys like the ones you featured here aren't particularly geared towards boys or girls, but the Goldie Blox very much are for GIRLS. They're cool looking, but it's kinda insulting at the same time. Great list by the way. My one wish is for Construx to come back.